The 11th Event semantics workshop took place from the 28th to the 29th of November 2014 and was hosted by the English department of the Friedrich-Schiller-Universität Jena. The invited speaker was Nicholas Asher (Université Paul Sabatier, Toulouse). The original call for papers can be found here. The flyer for the workshop can be downloaded here. The abstracts for the contributed talks are available here. If available, the .pdf's of the presentations or handouts are linked to the corresponding titles of the talks. 9:30-10:15 Sascha Alexeyenko Where Does the Event in Adjectival Manner Modification Come From? 12:30-13:15 Wilhelm Geuder "Warten ist Nichtstun"? 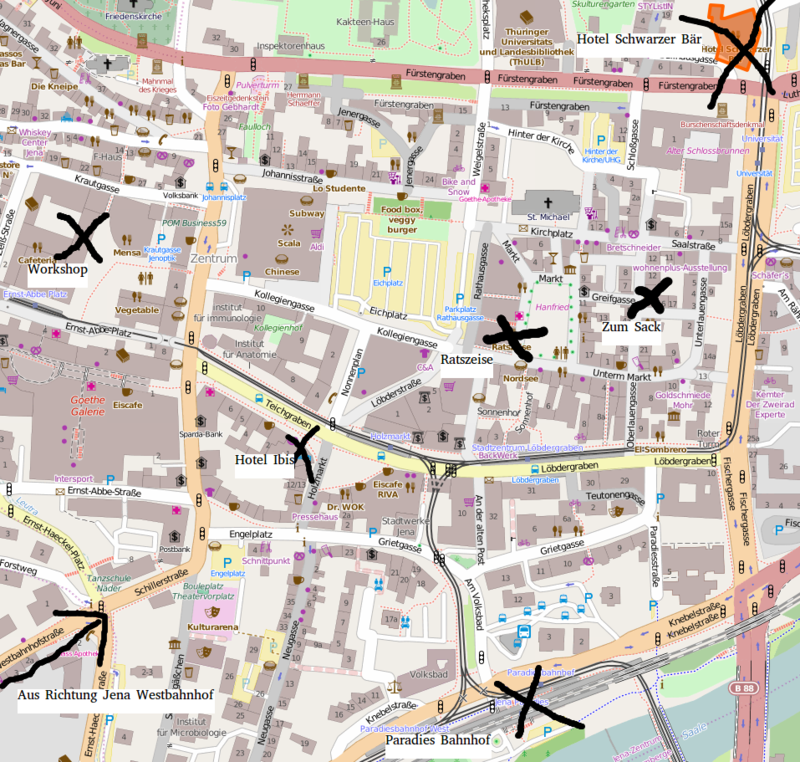 Click here for a small map marking the workshop location, the Hotels Schwarzer Bär and Ibis, the train station, and the venue for the warm-up event on Thursday evening. All distances on the map are within 10 minutes walking distance. Should you arrive at Jena Westbahnhof, please follow the signs denoting the direction of the city centre. You will enter the map at the end of the arrow starting on the Westbahnhofstraße. This should take you no longer than 5 to 10 minutes. For any questions, please contact the organizer, Martin Schäfer, via email (postATmartinschaefer.info). Many thanks to the Ernst-Abbe-Stiftung for supporting this event financially. Note that Ernst Abbe was perhaps the most important supporter of Frege in Jena. 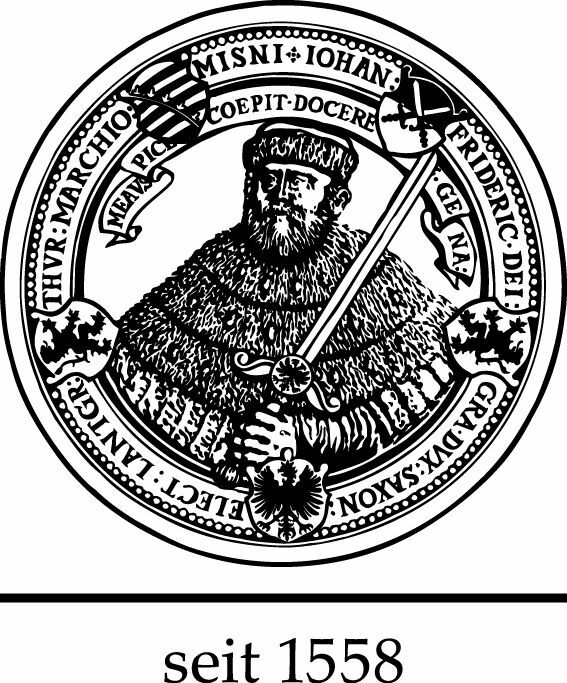 Further financial support comes from the Gesellschaft der Freunde und Förderer der FSU Jena e. V. and the Faculty of Philosophy of the Friedrich Schiller University Jena.